The result was Victoria Day, released in April on Six Shooter Records, on which McClelland marries a vintage, barrelhouse flavor to narratives rife with sensuality and ruinous sin. 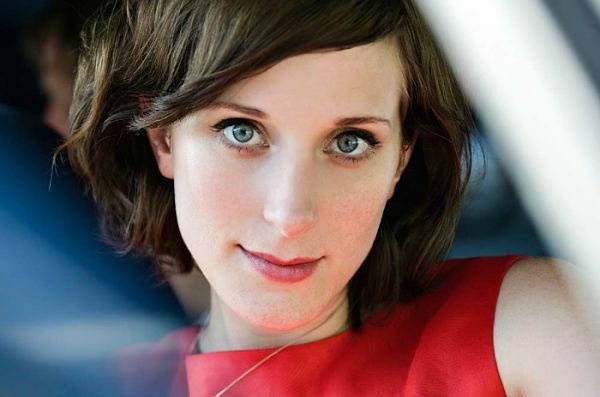 Produced by her husband, musician Luke Doucet, the album underscores McClelland’s progression as an artist — which began with her debut, Stranded in Suburbia, and continued on its followup, Thumbelina’s One Night Stand — including the musical influences that have fostered her talent. 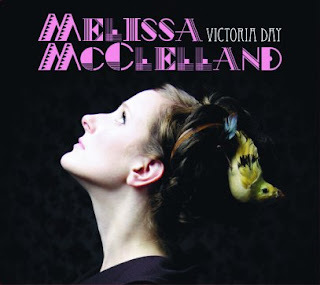 McClelland discusses her songwriting process in detail and how her most recent efforts manifested on Victoria Day. On this album, you’ve got a rockabilly, blues thing going on. What inspired you toward those styles? I’ve always been searching for my voice. And I’m really drawn to a lot of different styles so that doesn’t really help... But when I started singing anything that had a hint of the blues in it or gospel, it just opened my voice up. It stretched everything out. I love those beautiful, slow, spacious songs where I can just enjoy singing. The ones from my previous record, Thumbelina, I knew that the songs that had those qualities are the ones that really stuck with me and [are] the ones I continue to play live. So I knew that on this record, I wanted to take it further into that direction. Before getting into the studio, what was the songwriting process like? Did you write songs whenever they’d come to you or was it a concerted effort, like, “I’m going to write today”? My approach to songwriting is so different than it used to be — because it used to be an escape. I’d come home from school [and] to procrastinate from doing my homework or cleaning my room, I’d play my guitar for hours and hours, and write songs. But now my music is my work. I do have to instill discipline into my writing. I have to block off time and tell myself, ‘Okay, I need to work on my songs.’ But usually the initial inspiration of a song is unexpected. It’s usually a line, a lyric, a melody, a chord structure — just one little, little, tiny glimpse of a thing that just catches my attention. And I’ll usually repeat that to myself for months and then finally when I take the time to sit down and work at it, that’s when the song becomes a song. But the little ideas, they still kind of come out of nowhere. And you develop them as you go along. Yeah, and the editing process, that’s something I’ve learned over the years. Before, I used to just write a song and then there it was, that’s it. But now, I’ll write the song and sometimes I’ll rewrite it three or four times. Full songs, not just lyrics. In different ways. I do have some songs, like “Seasoned Lovers,” that song I just wrote and that was it. It just came out and there it was; it was done. Then there are other songs, like “God Loves Me,” I rewrote that two or three times. Certain lyrics, the vibe of a song, the way I would play it, certain chords, I would just play with it a lot until I felt like it was the best it could be. When you’re writing, do you know this one's going to be a blues song and that one’s going to be a ballad? Well, some times that changes, too. A lot happens in a studio. Some songs just sound completely different after we’ve recorded them than when I first wrote them. Like “I Blame You.” When I wrote that, it was kind of a lullaby. And now it’s like a jump, swing song [Laughs]. And I love that about songs. I don’t attach myself to them. I love the way they evolve and they change. Even from playing them live, they’re constantly evolving. Or else you would just get bored with them. But night to night, as a band playing live, the songs transform. I think that’s wonderful; each song has a life of its own. The songs are like short stories. They’re not all first-person narratives; they’ve got characters. I’m a singer, one, but also I’m a writer. I work really hard at that. And I feel like sometimes songwriters limit themselves to the first-person emotional account, page-out-of-the-diary kind of writing. As a songwriter, we have all the freedom in the world. We can write fiction. We can write non-fiction. We can write about our dreams, our travels. One track on the album, “Glenrio,” sounds like you scrambled into Tom Waits’ backyard and got away with some of his mojo. How did that song come about? Tom Waits is a really great example of a blues artist who has done something new with it. He’s doing his own thing, but it’s definitely rooted in the blues. I have been covering a Tom Waits song for the last five years, with my husband Luke. We’ve been doing a duet of “Gun Street Girl,” from Rain Dogs… We’ve been playing it for five years and we’re still not sick of playing it; we love playing that tune. I just love the imagery and I love how he can get certain emotions across by using that imagery. He really inspires me to try and write that way. Of the styles on Victoria Day, what is it about the blues, in particular, that resonates with you? It’s almost unexplainable. It’s hard when you feel a connection to something — when you’re passionate about something — to put it into words. I’m not completely well versed in blues history [though] I definitely listen to my share of it. I come from the suburbs in Canada. [Laughs] So it’s an interesting place to come from and to feel a connection to that. But we live in a kind of world where we have access to everything now. I can go online and listen to traditional African music or traditional Indian or anything. It’s worldwide now. I can access any type of music and I feel like that’s really bled into my creative process. I’m always drawing from everything around me — especially being a girl from the suburbs, where your surroundings can be pretty culturally dead at times... My first real connection to [the blues] was when I sang it. It just feels so good. I can just close my eyes and get lost in it and that’s when I know that it’s real for me. For more information on Melissa McClelland, visit her official website or that of Six Shooter Records.